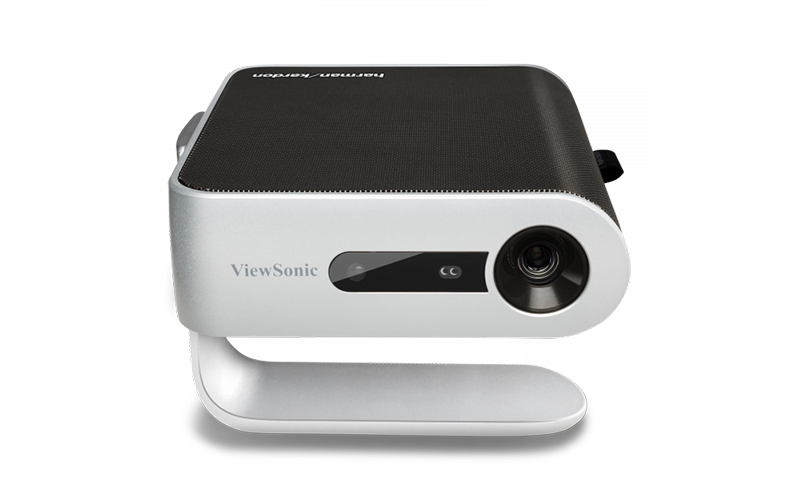 ViewSonic M1 projector with dual Harman Kardon speakers now out in the Philippines! Home / accessories / news / viewsonic / ViewSonic M1 projector with dual Harman Kardon speakers now out in the Philippines! The gamers out there are probably well oriented with gaming monitor brand ViewSonic. The company has been one of the top choices when it comes to display solutions, and we’ve come to like their products over the course of their presence in the local scene. 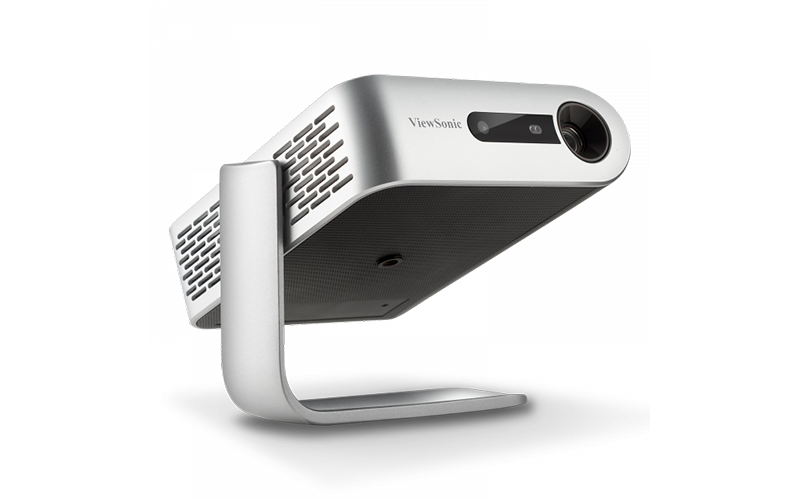 Now, it seems ViewSonic is dishing up another product, this time in the form of a projector the ViewSonic M1, a portable projector that boasts dual Harman Kardon Speakers and 6 hours of battery life! The ViewSonic M1 features the latest solid-state LED tech, making it environment friendly. For starters, it comes with Full HD 1080p resolution. You’re dealing with a projector with 250 ANSI lumens of brightness and 120,000:1 contrast ratio, and you can even step up the experience with the optional PGD-350 3D glasses for more immersion. 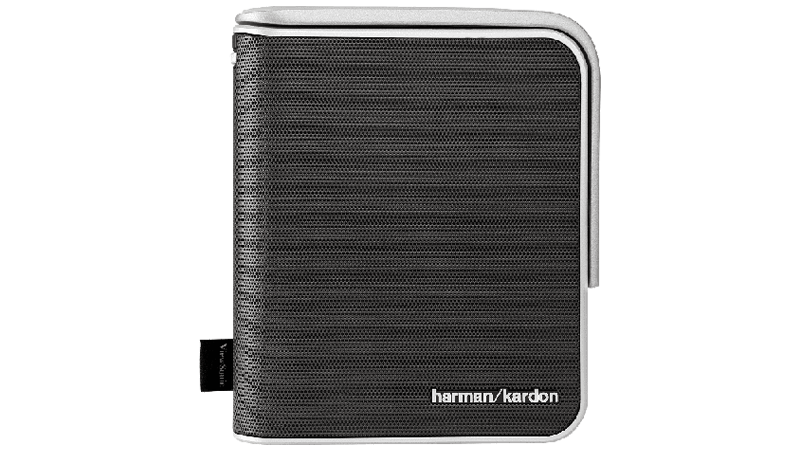 If that’s not enough, pump up the volume further with its dual Harman Kardon speakers that are just the thing when it comes to audio quality. As far as the ports go, we’re dealing with HDMI, USB 2.0, USB Type C, audio out, and a microSD card reader to bump up its 16GB internal storage. If you’re worried about portability, worry not. The ViewSonic M1 is quite the lightweight at 1.5 lbs. You can easily carry it to the next room and back useful for presentations and night camp outs. Its short-throw lens can also display large images in small and tight spaces. Of course, let’s not forget its 6 hours of battery life. ViewSonic isn’t specifying the battery rating, but that time alone seems reasonable enough. The ViewSonic is now available through the official retailers for a suggested retail price of PHP 21,990. That’s easily one of the most feature-packed projectors you can get your hands on at that price. How’s that for a portable projector?